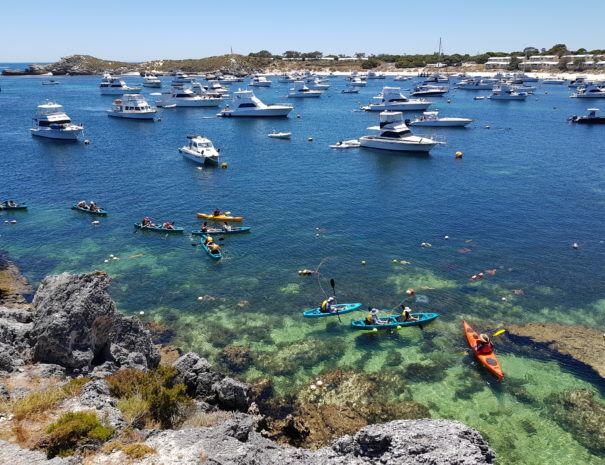 Make the most of your trip to Rottnest and enjoy the best of both worlds on this aquatic, culinary safari. 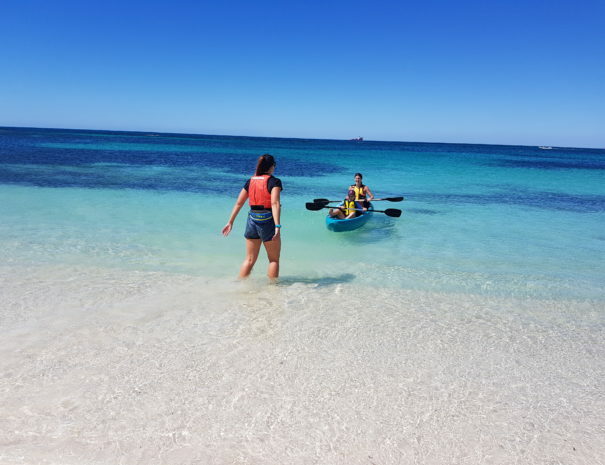 The tour starts with a 3hr leisurely paddle, where you will float over crystal clear aqua waters and through rocky grottos and finishes with a delicious meal at the famous Rottnest Pub. This tour includes a shuttle ride from the main settlement, Thompson’s Bay. At the end of the tour you will paddle straight to the beach in front of the pub. This private tour is for groups of 10 or more. Enjoy the aquatic wonderland around you staying relatively dry. 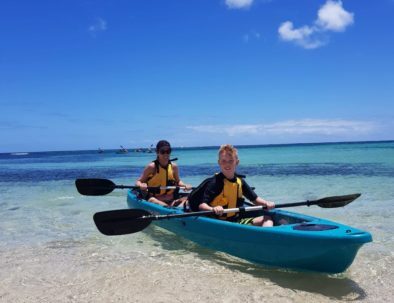 The wind doesn't usually come in until the afternoon in Rottnest but if it's going to be too windy we will take you to a more protected bay. Short shuttle bus ride to the start of the tour from Thompson's Bay. Groups of minimum 10 and maximum 20 people. 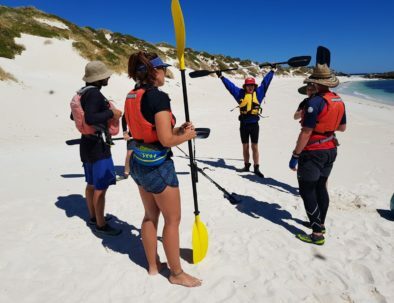 Meet your guides and your fellow kayakers. We will pick your group up and take you on a short bus ride to the start of the tour. Listen up as your guides prepare you for your journey. You will receive a Lifevest. Enjoy a leisurely float as your guides point out the aquatic wonderland around you. And don’t forget to LOOK BELOW! Dock your kayak in front of the pub…a delicious lunch awaits. Does this look like fun? Send us an email today! 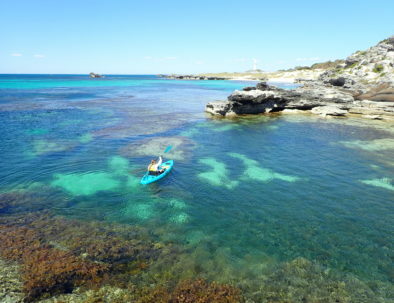 Enjoy Rottnest island’s beautiful waters above and below, on this 2 hour glass bottom kayak tour. 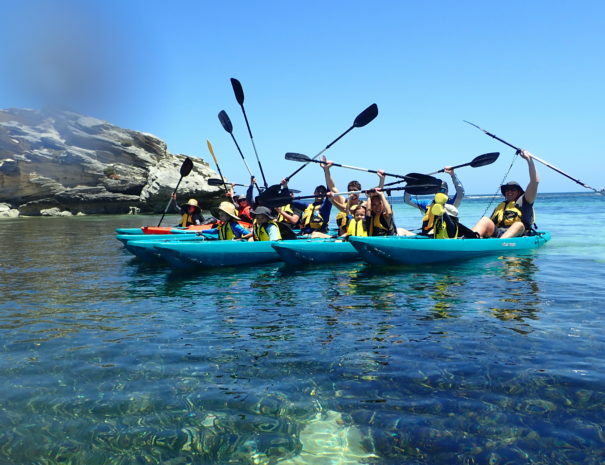 Grab 10 or more friends and enjoy a leisurely paddle from Parakeet to Thompson's stopping at bays along the way.